Fall Welcome Weekend is when The University of Scranton comes alive! Fall Welcome Weekend 2018 will be held from Saturday, August 25 - Sunday, August 26, 2018. 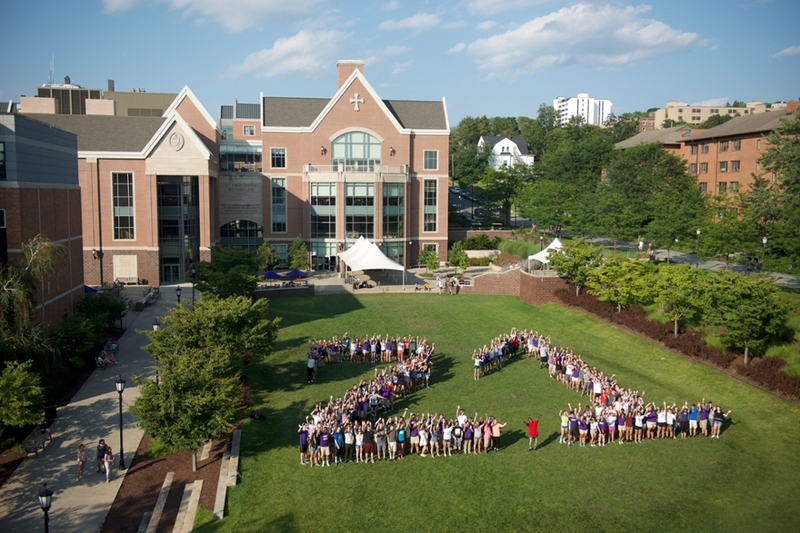 This weekend is centered on move-in, particularly first year student Move-In, and the formation of the Scranton community that has been eagerly awaiting its newest members, the Class of 2022, all summer. The weekend also contains New Student Convocation, a class picture, entertainment, the first floor meeting, the first campus-wide mass of the school year, and much more! Please refer to the 2018 Fall Welcome schedule below for more information! Click Here for the 2018 Fall Welcome Schedule! After Orientation, a Move-In Packet will be sent home. This packet will include roommate information, your Royal I.D. Card (If your picture was taken at Orientation), information about the time that you are required to move-in and what color route you will need to follow. Upon arrival on campus, Fall Move-In volunteers will move all of your belongings into your room. PLEASE label ALL of your belongings with your name, residence hall name and room number; it will be easier for the volunteers to locate your room. If you have any questions about move-in or living on campus, please contact Residence Life at 570-941-6226. The Royal Reads Program at The University of Scranton creates a shared experience for our first-year class through the reading of a carefully selected book. We select a Royal Reads book each year to introduce our newest students to the Ignatian values at the heart of our University and to invite students to consider how these values can shape one's college experience and one's life. Throughout each student's first year at The University of Scranton, students will encounter themes from the selected book in classes and in extracurricular opportunities, as well as in a wide range of formal and informal discussions. 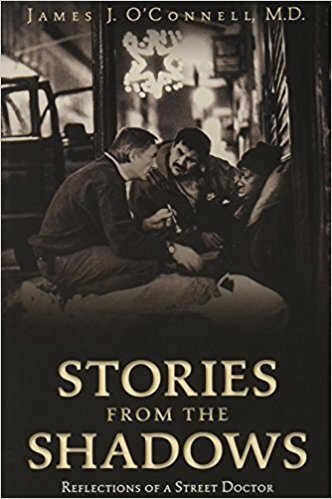 The book selected for the 2018-2019 academic year Royal Reads Program is Stories from the Shadows: Reflections of a Street Doctor, by James J. O'Connell, MD. You can purchase a copy of the book during summer orientation or you can find the book for purchase at various on-line retailers. For more information about the Royal Reads Program please click here. Any upperclassman interested in helping out the University community and moving in a day early can volunteer to be a Fall Move-In Volunteer. Volunteers are required to participate in a three-hour shift and they receive all meals until their meal plans are activated as well as access to their rooms early. Unfortunately, first-year students moving in early are unable to participate. This is a first come first served opportunity, so please make sure you sign up soon! To sign up, please click on the student tab in My.Scranton. The sign-ups are located under links and information. If you have any questions, please contact orientation@scranton.edu. If you have any questions about Fall Welcome or the Orientation program, do not hesitate to call the Center for Student Engagement or e-mail us at orientation@scranton.edu.